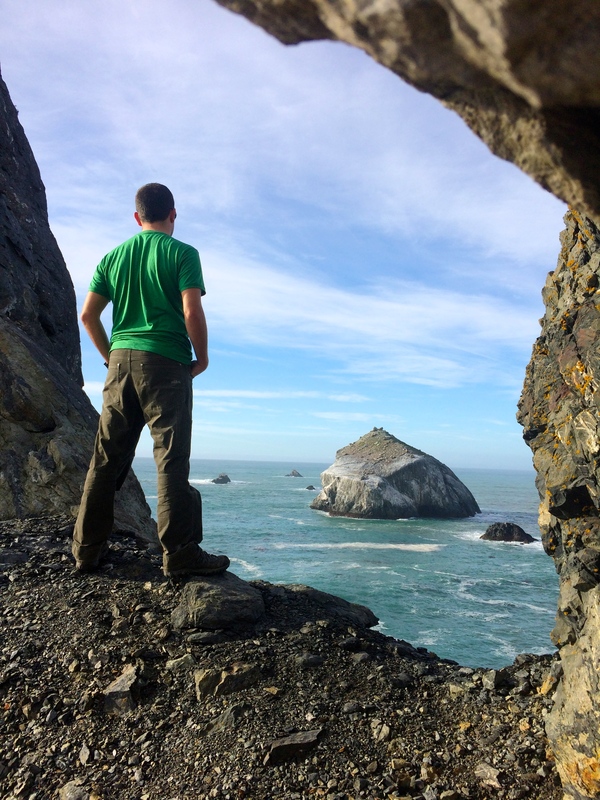 I’ll admit it–I’m a terrible Californian. 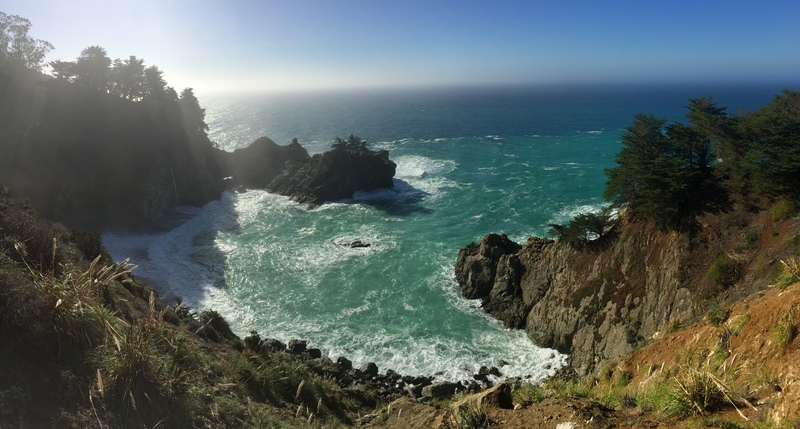 Having grown up in the Bay Area and gone to school in Orange County for 2 years, I really have no excuse to justify why I’ve never seen the famous central California coastline all along Highway 1. 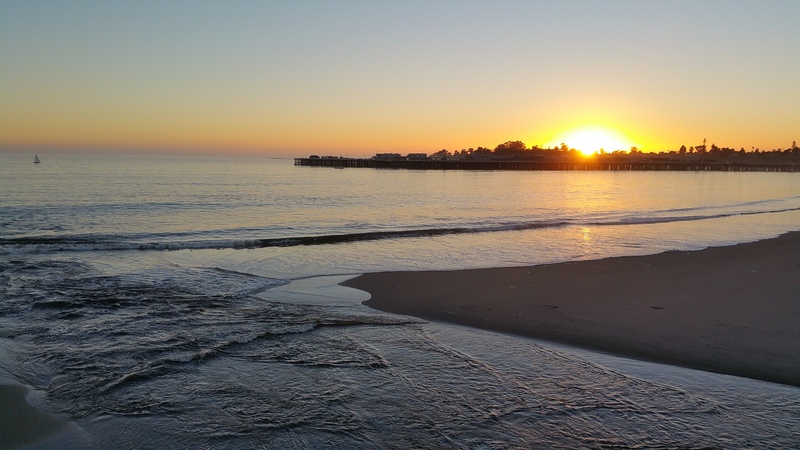 As a child I’ve gone on family trips to Santa Barbara and Pismo Beach with my family, but memories from those trips have apparently ceased to exist. Now with time on our hands and a road trip to continue, we were able to finally spend time in the most talked about coast of the U.S. with literally perfect 70º December temperatures. 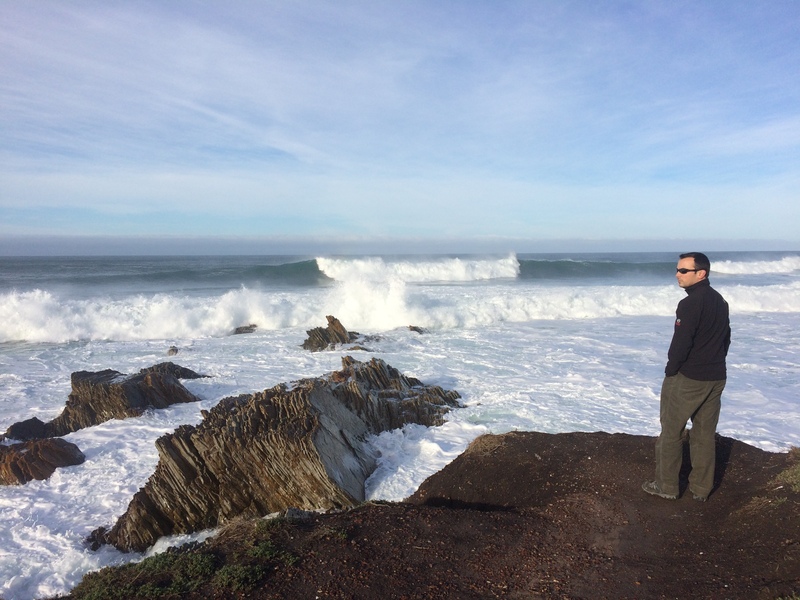 Our first stop: Montaña de Oro State Park, just a 30 minute drive from San Luis Obispo. At first I thought we would skip through but a friend convinced me to check it out, reiterating how epic the scenery was. And I’m glad we stopped by. 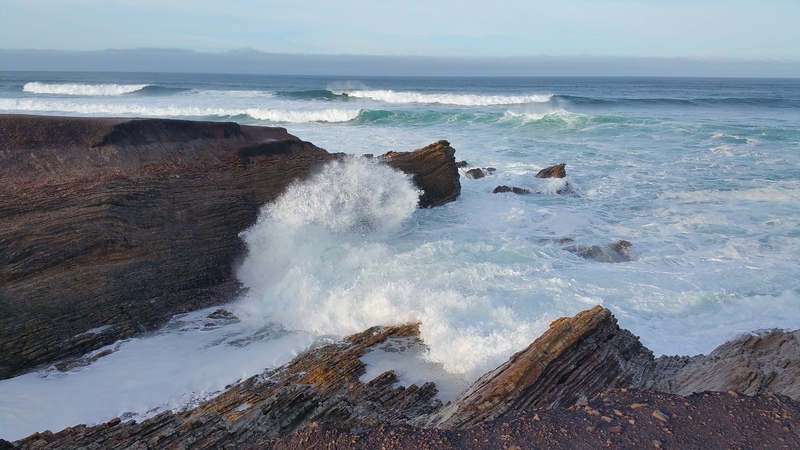 Like a grandiose oil painting, the massive turquoise waves ripped and roared over the rocks carved out by water and wind. 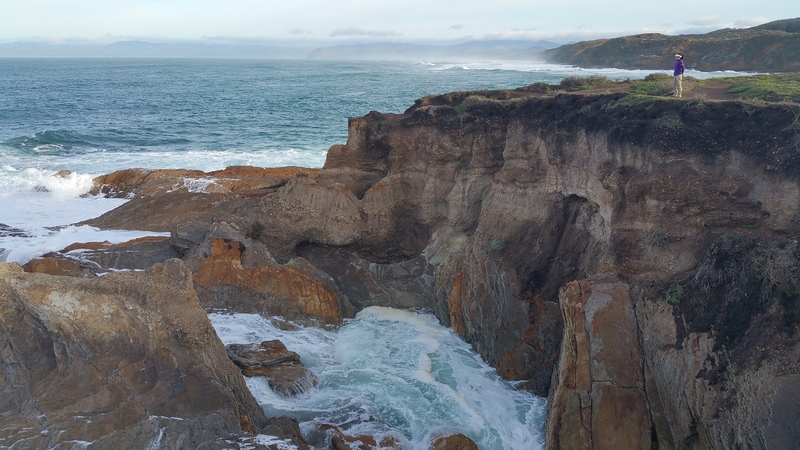 High above the cliffs, we viewed the tumultuous waves thrashing along the rocky shore and silently listened for the distant boom of the collision of white-capped waves. Photos can never do justice in portraying the beauty and power of the ocean. 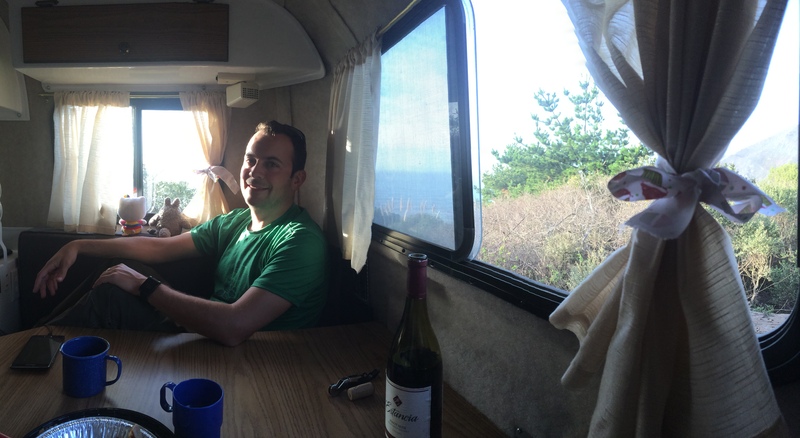 After strolling along the coast of Montaña de Oro, we proceeded north on Highway 1. With every twisty turn, with every climb and descent, we were rewarded with the breathtaking views of coastal California. Have I mentioned how much I love my home state? Later that afternoon we arrived at our destination, a dispersed camping area near Cape San Martin. 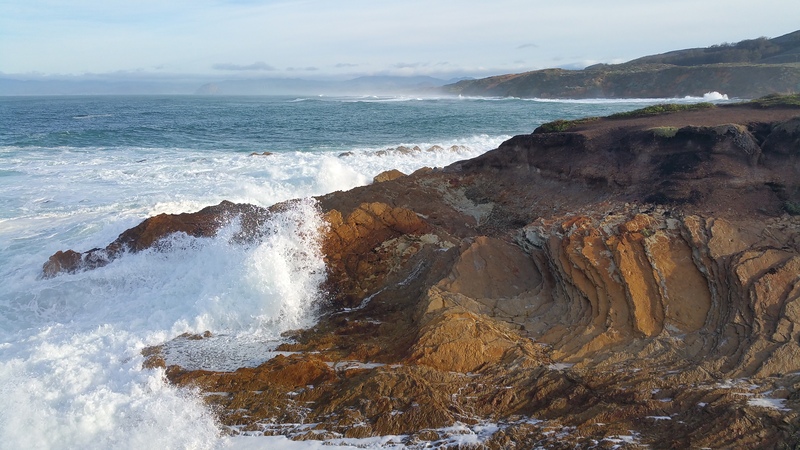 From our camp spot, we could hear the crashing of the waves and the barking of the elephant sea lions, and we could even see migrating whales breaching in the distance! As we gazed at the landscape in our T-shirts and sunglasses beneath the December sun, speechless and awestruck by California’s beauty, we constantly asked ourselves if it could possibly get any better than this. 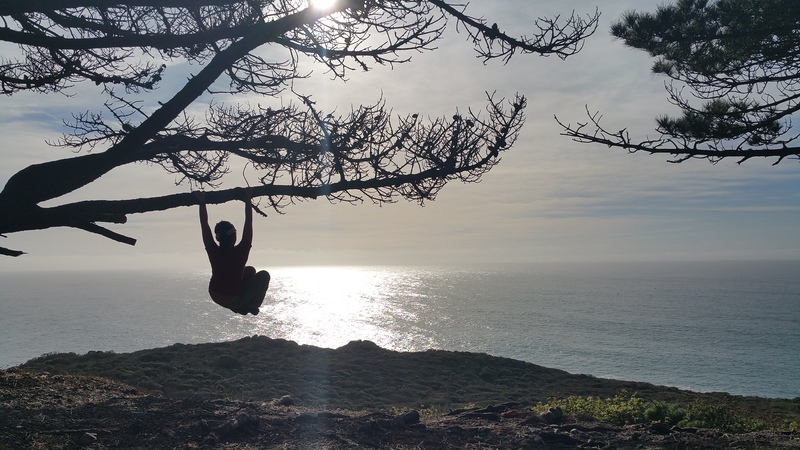 We walked down the hill toward the coast and, like carefree children, we climbed and swung on the trees perched along a highway turnout. Chris discovered a small pathway from the turnout and decided to follow it. 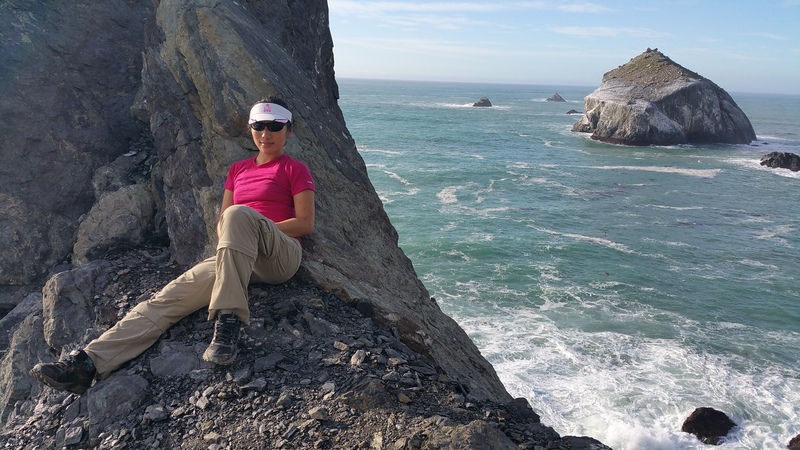 We found ourselves descending a steep hill and scrambling over rocks onto the cliffs along the shore. There, we sat for about an hour, listening, watching, and feeling. As the sun slowly began to sink beyond the horizon, we made our way back to camp. That night and the following early morning we enjoyed the peaceful whispers of the wind and the waves from Scromp. 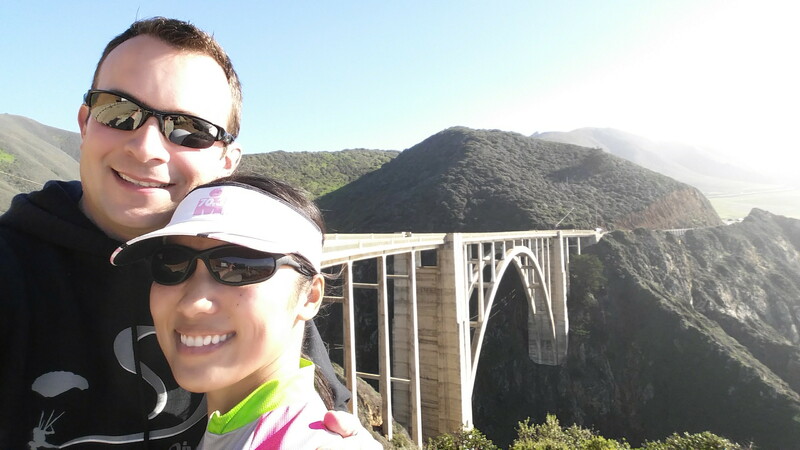 Our next stop was the famous Bixby Bridge, where our crazy friends are known to jump off from. But first, I wanted to check out Pfiefer Burns State Park. Chris parked in the quaint town of Big Sur, and I took off from there by bicycle to Pfiefer Burns. Reviews about this park were accurate–with the water so blue and a natural waterfall cascading from the cliffs onto the beach shore, it was easy to get carried away with the camera. 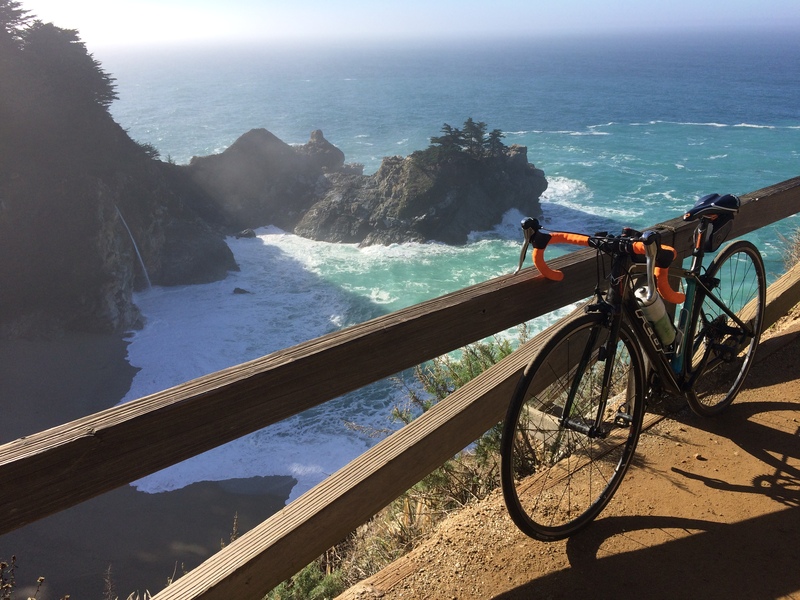 From Pfieffer Burns, I pedaled up and down the rolling Highway 1. The grade wasn’t bad at all; the short climbs made a decent workout, and the descents were gorgeous and thrilling. 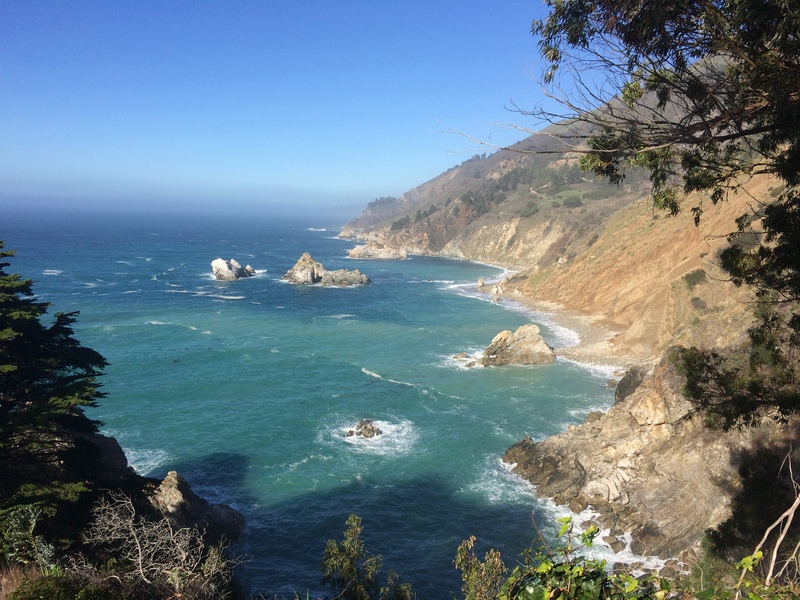 As I pedaled along the California coast, I savored the warm sun on my skin, the salty wind in my hair, and the views of endless ocean below me. Having conditions the way they were that day, there was no way I was going to skip out on a ride as epic as this. 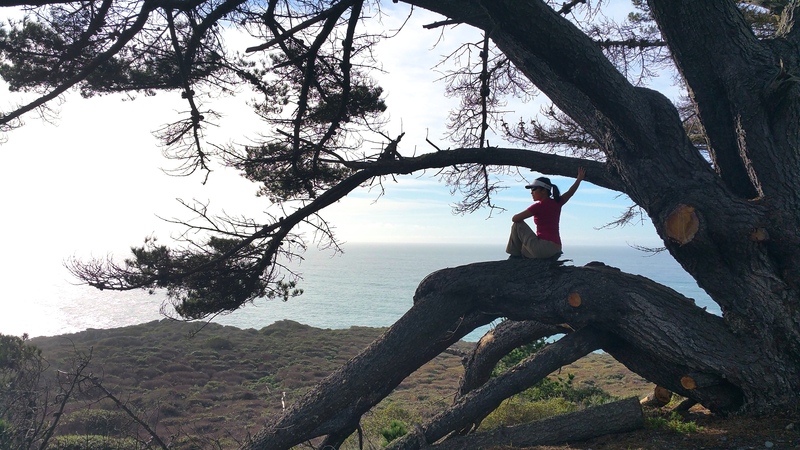 Once I cycled out of the Big Sur woods and made it out into the vast, open land, I was blasted by gnarly head winds and wondered a few instances whether or not a gust of wind from a truck or Mother Nature would blow me over. 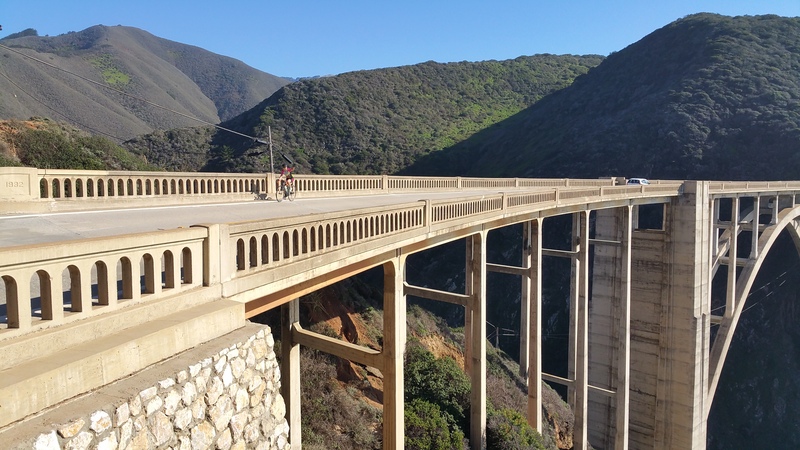 Finally after the last, major climb over the hills, my heart filled with joy at the sight of Bixby Bridge and I soared across the bridge toward Chris who stood waiting for me. Later that afternoon we made it to Santa Cruz, where we stayed with friends. Even the weather there was phenomenal and warm enough for surfers to enjoy the waves at sunset, which was unusual for a beach town typically sacked by fog. 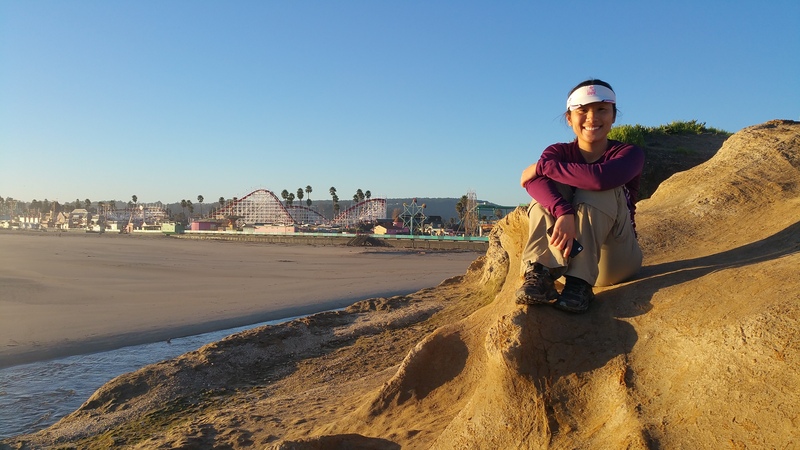 Our friend literally lived across the street from the beach, beside the Santa Cruz Beach Boardwalk. There, we watched another typical, beautiful California beach sunset. 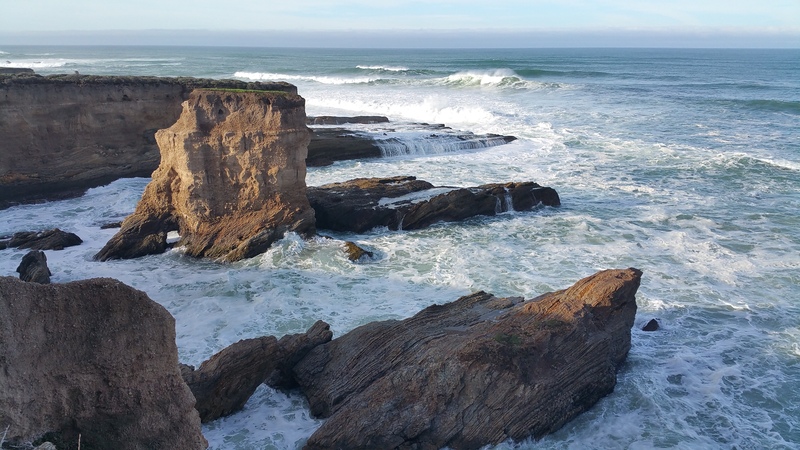 This post is part of TravelTipsCollection: California. 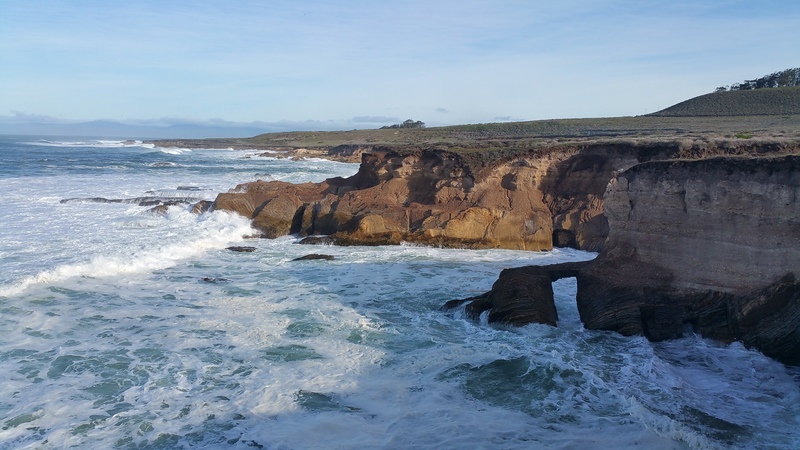 This entry was posted in California and tagged #Travel Tips Collection, California coast, Montaña de Oro, Pfiefer Burns. Bookmark the permalink.